KG Theaters was started with one goal in mind. To finally be able to take care of my clients the way I wanted to take care of them. To give them the utmost in service and support without worrying too much about the all mighty dollar. I wanted to allow my clients to engage me in any manner of projects from man caves, custom car libraries, Spin Studios, Majestic Conference Rooms, to Home Theaters to your very own old fashioned arcade. If you can dream the space up I have the ability to design it and dream right along with you and then I have the team in place to put it all together. If you want a seasoned veteran of the Audio Video, Property Manage and Design world to help you make your dream a reality I am here for you. 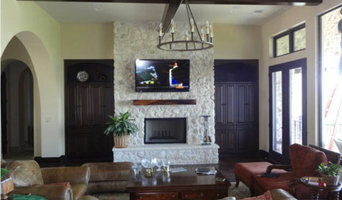 I have been designing and installing Audio Video and Automation systems in the Austin area for the last 18 years. My career spans three companies. I have maintained many of my clients through all those years and for that I am grateful. I have developed a reputation for attention to detail, careful planning and reliability. If you call me I show up. I answer my phone no matter how small the project is I am there for you the client. I also answer my phone on weekends and after hours. Without my loyal clients my way of life would not have been possible. I enjoy so much getting to work with a quality group of people. My goal is to make life easier for my clients. Make technology accessible and easy to use everyday. My greatest compliment is when a client of mine calls me back out to explain more features or when I show up and it's obvious they have been using the system. That speaks volumes to me. Give me an opportunity to meet your Audio Video needs. I will do my best to help you and if I can't, I will find someone for you who can help you. At HAAS Home Technologies we pride ourselves on setting the bar of the industry. Our highly skilled team of engineers & designers, project executives and trained installation team have a combined 50 years of experience. Technology evolves by the minute and so should your technology provider. We set ourselves apart from the industry by starting ALL projects in the design phase. First we must listen to our clients. Then collaborate with our specialized design team to form a cohesive plan that integrates technology seamlessly into your home. Every detail thoughtfully planned and then executed by our master craftsmen. With unparalleled service throughout the entire process, HAAS prides itself on maintaining service and relationships with our clients even after completion of a project. We value your business, and consider it our responsibility and privilege to provide comprehensive care for our clientele. From construction design to full installation of your project. 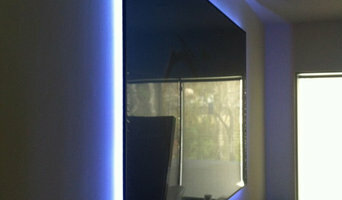 We offer home automation, audio/visual, surveillance, and networking. Macauley Technologies is a team of experienced professionals who integrate state-of-the-art audio, video, lighting, shades, communications, and control equipment into both new and existing construction. We work closely with architects, interior designers, builders and home owners to implement home automation into your home. At Macauley Technologies, we have partnered with the most respected names in the industry and have two decades of experience that has been the platform for our success. We are not just “another AV company” and it is our mission to differentiate ourselves from our competition. JJ Orion is a technology specialist that offers design and technical services for residential and light commercial projects. JJ Orion develops life-long relationships with their clients by understanding the customers needs before offering carefully considered advice, providing complete solutions and supporting their work long after the project is complete. JJ Orion is a multi-state company with offices in Vadnais Heights and Edina, Minnesota along with Austin and San Antonio, Texas. Lucidio Low Voltage employs world class service with the best products in the industry to create sleek, simple, and functional audio, video, and automation systems. Smarter Homes / SmarterTX.com 512-775-6101 / Austin & Lakeway Based We are a home technology company focused on the design, implementation and service of low voltage intelligent systems including security (alarms), camera surveillance, iPad control, home automation, WIFI networking and audio/visual entertainment for the modern home. We also offer commercial audio video solutions for boardrooms, offices, restaurants and retail outlets to create tailored themes or moods in these environments. Our services include entertainment solutions, lighting control, home automation, telephone/intercom systems, CCTV, access control, integrated security systems, and structured cabling. Our showhome has been recognised within the industry as one of the finest examples of its type and is the perfect place for exploring the possibilities. Smarter Homes provides a one-stop solution experience and is well placed to provide expert custom design, planning, project management and installation of today's innovations for your technology solutions tomorrow. Austin Home Systems is locally owned and operated in the beautiful city of Austin, Texas. Our projects are primarily located inside Austin and the surrounding areas, however we do travel outside of Austin to accommodate client requests. Our goal as a company is to inform our clientele of creative, innovative, and cost-effective solutions for smart home technology. We offer a variety of installation and design services for new home builders and existing home owners, along with being an authorized dealer of an extensive product library. Product demos are available by appointment. Find a home media designer on Houzz. 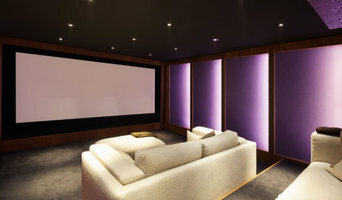 Narrow your search in the Professionals section of the website to Austin, TX home media designers. You can also look through Austin, TX photos by style to find a room you like, then contact the professional who designed it.